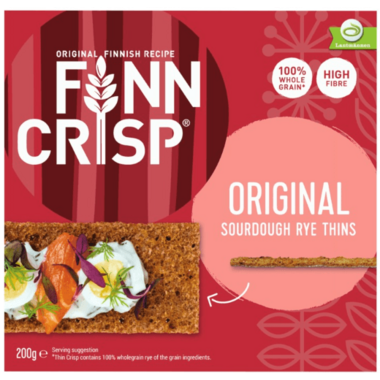 Finn Crisp Thin Rye Crispbread is a whole grain rye bread. It is irresistibly delicious and crispy and ideal for keeping you going between meals. 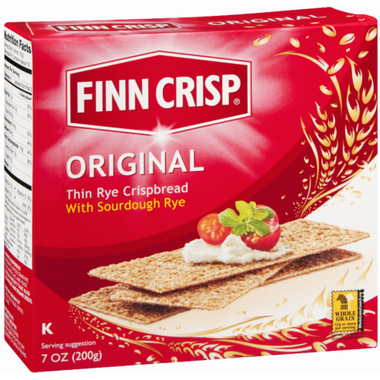 It is fat free, made with whole grains and have no preservatives or additives. It can also be enjoyed by anyone who follows a vegetarian or vegan diet. Made in Finland. 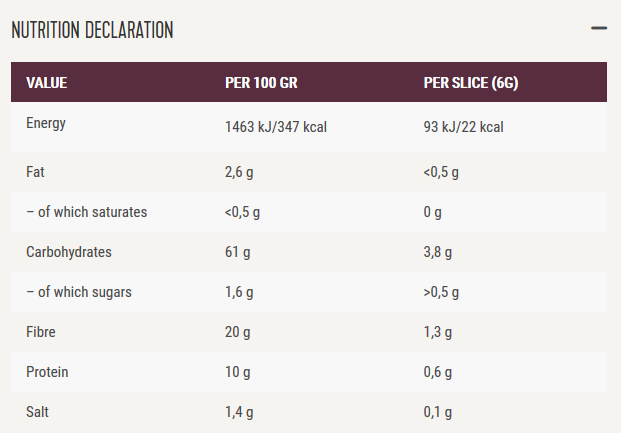 Ingredients: Whole grain rye flour (95%), water, salt and yeast. May contain traces of sesame seeds. Please note: you may receive the old or new packaging. Better than any cracker or thinbread I've ever eaten. It's great for a quick snack and strong enough that it doesn't break when applying spreads. Very healthy with lots of fibre and nutrition.